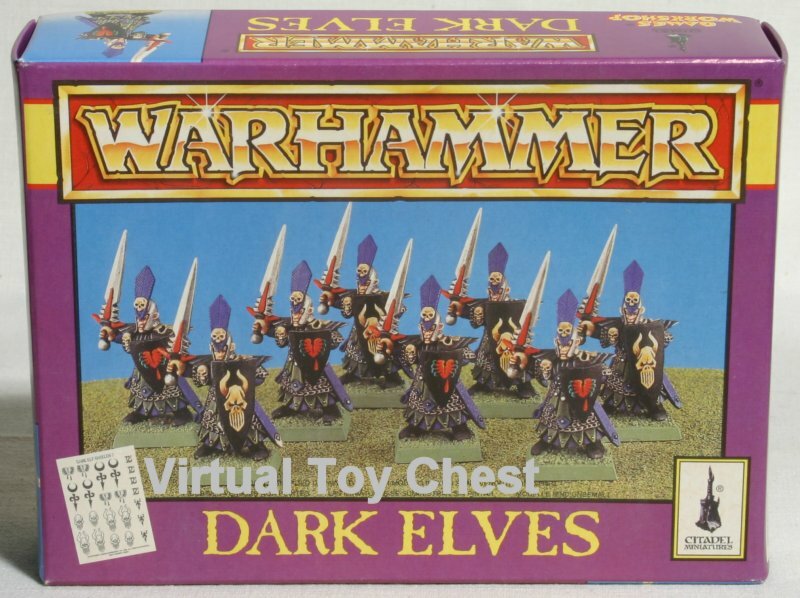 The Dark Elves are one of the strongest armies. Dark Elf Nobles help assist your elite troops in combat. However, they do not have the hitting power of the top notch characters like Chaos Lords. Thus, they are best put in one of your blocks of troops to help it win combat. The Dark Elves have one of the best lores of magic in the game. It is exceptionally deadly and can turn the tide of a battle by killing off an enemy character or decimating an enemy unit. Use a high level sorceress, as many of the spells are hard to cast. Consider using two sorceress to over power your opponents magic defenses. Every Dark Elf army should have an assassin. They can hide in one of your own units, or in one of your opponent's units! They are usually used to kill enemy characters, or cripple elite units. Warriors are not the strength of the Dark Elf army. They are best left at home defending Naggaroth. If you insist on taking them, then try using a medium sized unit of 10 to 15. This way you may be able to outmanuver your opponent. The Dark Elves are famous for their crossbowmen with repeater bows. They can shoot most other troops to pieces with their hails of arrows. Best of all, they have the extra armor penetration offered by crossbows. You can place them on a flank, or right in the center of your line. In the former case, your opponent will need to decide if it is worth chasing them down. If they are in the center, then they will have lots of targets. Corsairs have tons of attacks. When combined with hatred, they are a very deadly unit. Their cloaks help keep them from being killed by arrows prior to reaching combat. Run them up and charge into the fray. I find it best to take several small units of them, although larger units can also work well. Dark Riders are the regular cavalry of the Dark Elf army. They are not the most powerful mounted troops, but they are fast and hit hard enough to break many units. If you are trying to break a unit in a single round, try to set up a flank charge. Harpies are used in small units. They use their ability to fly to race in and tie up artillery and more expensive troops. Witchelves tear up their opponents in hand to hand combat. They are best used in large units, so that they are not killed before they reach combat. You should pit them against blocks of regular troops. If you are playing a shooty list, then these guys are a must. A unit of 8 is still small enough to sneak around, but large enough to still be a threat. Deploy them in cover and try to get behind the enemy's line. Executioners are the Dark Elves heavy hitters. I use them in units of 10. Black Guard are one of the sturdier Dark Elf units. However, since the army is so offensivly oriented, I tend to choose other units instead. Charge!!! They are great for breaking important units. The only downside is that their stupidity makes them somewhat unreliable. Cause havoc. It is fairly tough so you do not need to be overly concerned about shooting (except from artilleery). Use it on the flank to break key units. Every army should have one. Target large blocks of infantry and make some foot soldier kababs. It is great against knights and other heavy hitters. When you play with a dragon it will attract alot of attention. It is almost always the prime target for enemy artillery. With this in mind, make sure that you occupy said artillery with other units, or attack them with the dragon. Dragons are very good at killing lone characters. They can also be used to set up a flank charge on a big block of troops. Use some caution when charging large blocks of good troops. If they survive the combat, you will likely get flanked by other infantry units.